Substantial evidence supports the view that the cecal appendix is an immune structure primarily functioning as a safe-house for beneficial bacteria, and comes from a range of disciplines, including medicine, epidemiology, immunology, and microbiology. In order to salvage what they can, most evolutionists who know about the recent evidence now admit that the appendix has function, but they still insist that it is vestigial. They argue that the appendix evolved this new function once the old function was no longer needed. At least some evolutionists, however, are more interested in what the data actually say. The authors of the study in reference (2) have looked at the data and have come to the conclusion that the appendix is not vestigial in any way. Instead, it is so important that it has evolved independently at least 32 separate times throughout the course of mammalian evolution! The results tend to refute the idea that individual factors such as social behavior or diet strongly influence the evolution of the appendix, although the possibility that some combination of these and perhaps other factors are important has not been ruled out. Given all of the information available, a new working hypothesis might be developed in which the appendix has evolved as a microbial safe-house under selection pressure from gastrointestinal pathogens potentially transmitted via a range of mechanisms rather than via a single mechanism dominated by a particular dietary or social factor. Now if it surprises you that evolutionists can talk seriously about a specific organ evolving independently multiple times throughout the course of evolution, you haven’t been keeping up on your reading. This is a very common way that evolutionists explain around the fact that the data don’t conform to their expectations. If you’re willing to believe that eyes evolved independently as many as 60 different times, I supposed believing that an organ like the appendix (which many still claim is vestigial) can evolve independently at least 32 times is no big deal! Of course, creationists have long maintained that the appendix is not vestigial in any way and serves an important function. In the creationist view, it is one of the many design “modules” that the Creator used to meet the needs of certain kinds of animals. In my view, that’s a much easier way to understand the results of this study. Speaking of vestigial structures, what about wisdom teeth? I was attempting to distract myself during a visit to the dentist, and I wondered if a purpose has been found for them. Thanks for your question, Grace. Like most evolutionary ideas, the thought that wisdom teeth are vestigial has been thoroughly debunked, even though most unsuspecting students are still being taught this myth. On page 278 of his book, The Evolution of the Human Head, Daniel Lieberman discusses a comprehensive analysis of 62 studies that show impacted wisdom teeth are a very recent phenomenon. While impacted wisdom teeth are found in 24.2% of people since the industrial revolution, they were found in only 2.3% of people prior to the industrial revolution. He says that rather than being the result of some evolutionary vestige, impacted wisdom teeth are simply the result of a change in human diet. As people have advanced, they have eaten softer food, which changes the shape of the jaw. He suggests that if we have our children eat tougher foods and chew lots of gum (he suggests that it should be sugar-free), they would not have as many problems with their wisdom teeth. So we don’t have problem with our wisdom teeth because we inherited them from an ape-like ancestor. We have problems with our wisdom teeth because jaw growth is strongly influenced by the mechanical strain we experience as we eat. Since we have been eating softer foods, we don’t strain our jaws like the people in previous centuries did. As a result, our jaws don’t grow as large, which then causes problems with our teeth. Another excellent article Dr Wile thank you. I agree with your comment (2) above. I have eaten hard biltong (South African Jerky) since I was just a boy and have all of my wisdom teeth and have never had a problem with them. I have also chewed a lot of gum, especially in my younger years. Coincidence? Perhaps. I couldn’t say anything outright as I don’t know the details of the paper. I am, however, wondering whether this is actually a problem with Evolution. After all, evolutionists never argued that the appendix is inherently vestigial- that defies the meaning of vestigial. They just argue (or have so argued in the past) that the human one is vestigial. Clearly the human appendix didn’t evolve 32 times! Parsimony optimization of appendix presence and cecum presence and size (Fig. 2, Fig. 3, Fig. 4, Fig. 5 and Fig. 6) refutes the suggestion that appendix appearance is linked to a decrease in cecum size within mammals. One of the many many uninformed mistakes Creationists make is over the term ‘vestigial’. Vestigial does not mean ‘useless’, the same mistake you have made in this article. Vestigial means having lost of been degraded from its ORIGINAL function. There’s nothing to say vestigial features can’t retain some function, or have picked up a secondary function along the way. The human vermiform appendix is indeed a vestigial organ, as are human third molars and the human coccyx. Darwin’s suggestion that the hominoid appendix is a vestige of a larger cecum was derived in part from the assertion that the appearance of the appendix occurs concomitantly with decreases in cecum size and a shift from folivory to frugivory resulting in decreased dietary cellulose consumption. These results, together with immunological and medical evidence, refute some of Darwin’s hypotheses and suggest that the appendix is adaptive but has not evolved as a response to any particular dietary or social factor evaluated here. So even using evolutionary assumptions, the appendix is definitely not vestigial. Wisdom teeth (third molars) are also not vestigial. As I point out to Grace above, they are a very recent development caused by a modern shift to soft foods. The coccyx is not vestigial, either. It may look like the remains of a tail, but as this study shows, looks can be deceiving. 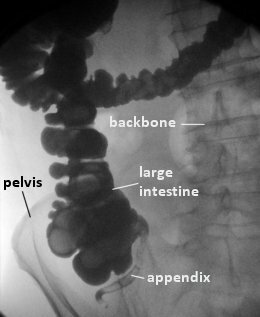 The appendix looks like the remains of a shrunken cecal pouch, but even using evolutionary assumptions, we now know that’s not correct. Since the coccyx is an important point of muscle attachment, there is no reason to consider it vestigial just because to an evolutionist it looks like the remains of a tail. Using that reasoning, the video card in a computer is vestigial, since it looks like the shrunken remains of a motherboard! LOL! It’s the whole theme of your OP! Function has been found for the human appendix so therefore it’s not vestigial. But whatever. Wisdom teeth (third molars) are also not vestigial. As I point out to Grace above, they are a very recent development caused by a modern shift to soft foods. You need to do more research. Evidence of impacted third molars has been found in hominid fossils dating back over 2.6 MYA. Brief communication: possible third molar impactions in the hominid fossil record. The problems were indeed caused by the evolution of the human skull and jaw as proto-humans changed their diets from hard nuts to softer foods, but that began a few million years ago. Also, the incidence of impacted wisdom teeth in human populations varies widely across populations, from near zero in Tasmanian Aborigines to nearly 100% in indigenous Mexicans. Problems of impacted wisdom teeth may have been intensified in the last few hundred years by a trend to softer food but the evolutionary changes began well before then. The coccyx is not vestigial, either. It may look like the remains of a tail, but as this study shows, looks can be deceiving. Your personal incredulity doesn’t make a very convincing argument next to the scientific evidence. Thanks for your reply, Thorton. However, you do need to actually read the OP. The point of the OP is not that function has been found so therefore the appendix is not vestigial. The point of the post is that even using evolutionary assumptions, we now know that the appendix cannot be vestigial, as its appearance in the supposed evolutionary trees has nothing to do with diet or the other social factors studied. I also think you are rather confused about human third molars. This isn’t surprising, as evolutionists have done a horrible job educating students about this phenomenon. Let me help clear things up for you. Impacted third molars affect 15%-20% of modern Americans and Western Europeans. In contrast, third molar impactions have not been reported in the early hominid fossil record. In other words, we don’t even know if the skulls had impacted teeth. It is only possible that the teeth were impacted. As they say, the main purpose of the paper is not to claim that they have found impacted third molars. It’s to tell others what to look for. Second, let’s assume these possible impacted molars really are impacted molars. What does that tell us? Not much. As a cursory examination of the literature will tell you, lots of animals have impacted last molars. In Chapters 10-15 of Colyer’s Variations and Diseases of the Teeth of Animals, you can find 13 examples of animals that have impacted last molars, including pigs, a patas monkey, and an African civet. Thus, the fact that individuals have impacted wisdom teeth means very little. The question is, “What does the population show?” As I mentioned to Grace above, impacted wisdom teeth were very rare in people prior to the industrial revolution. They have only become common since that time. This tells you that impacted wisdom teeth have nothing to do with evolution. They have to do with the changing diets of modern humans. I think your confusion regarding wisdom teeth comes from the fact that you don’t understand how an individual’s diet during the growing years impacts the development of the jaw. If you would take some time to study this, you would find that any individual of many different species can have impacted last molars, if that individual’s diet is softer than what the species’ jaw was designed to eat. This is why impacted last molars are found in individuals from many different species. Once again, it has nothing to do with evolution. It has everything to do with development and diet. My argument about the coccyx has nothing to do with my incredulity. It has everything to do with what the data say. The data clearly show us that looks can be deceiving. After all, evolutionary evangelists for more than 150 years have been preaching that the appendix is vestigial because of what it looks like. This study shows that’s just not the case. Because of this, a scientist needs to be very careful in making vestigiality arguments based solely on looks. In fact, the argument that the coccyx is vestigial is an argument from incredulity. Those who think it’s vestigial can’t imagine any other reason why it looks a bit like a tail. Those of us who are willing to follow the data see that it performs a function, and that function is best served with its current shape. Thus, we can imagine another reason for it looking like a tail. Given the fact that other data clearly show looks can be deceiving, the most scientifically reasonable view of the coccyx is that it is not vestigial. LOL! I guess I shouldn’t be surprised to get the normal batch of hand waving, ignoring of evidence, and semantics game playing from a professional YEC apologist. You’ve had years of practice fooling the gullible with your pre-canned “looks can be deceiving” type pitiful excuses. Of course to the scientific community looks can also be 100% accurate, especially when combined with all the other fossil and genetic evidence we have for evolution. But heaven forbid you guys ever look at the big picture, the concilience of all the data. Oh well, it’s not like YEC fantasies any impact on actual scientific work. Dream the dream if it makes you happy. Thorton, I will let the readers decide who is hand waving and ignoring evidence. As I said, the evidence from this very study shows that looks can be deceiving, as the study shows the appendix is not a shriveled-up cecal pouch, even though it looks like one. Those who are worried about following the evidence will take that to heart. Those who don’t care about the evidence will ignore it and try to offer an argument from incredulity to claim that the coccyx is vestigial.